Hand Pallet Trucks can prove useful for managing variable demand in a variety of warehouse, workshop or production plant applications. 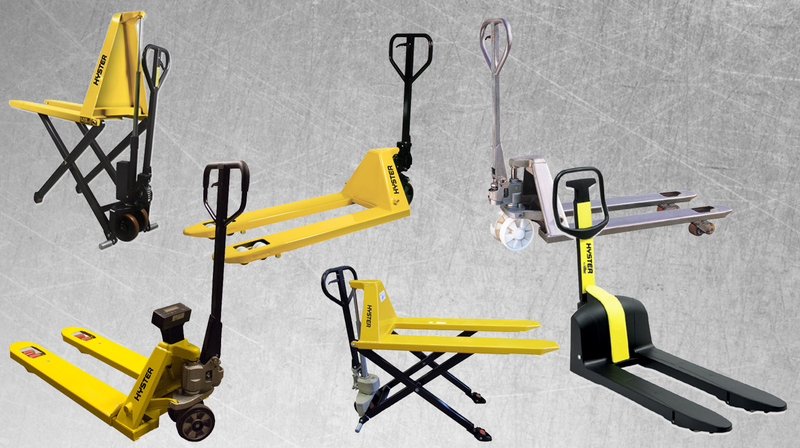 To meet the varied needs of different operations, a comprehensive range of durable Hyster® hand pallet trucks are available. 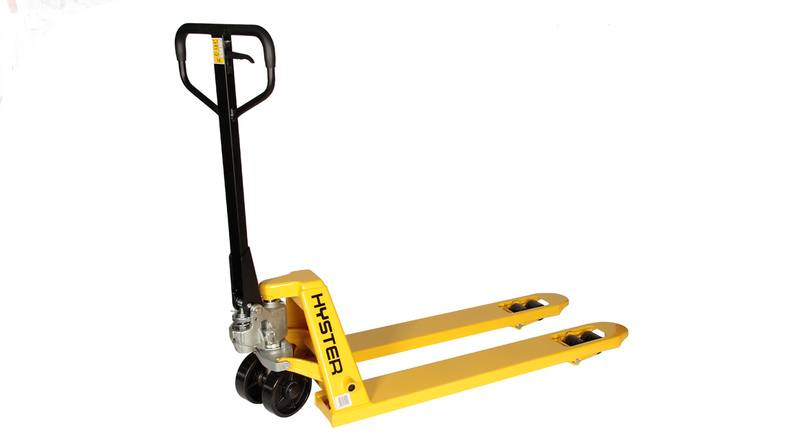 All Hyster® hand pallet trucks are built to last, with a durable welded steel construction and high quality, scratch resistant paint finish. Their compact construction and tight turning circle enhance productivity. 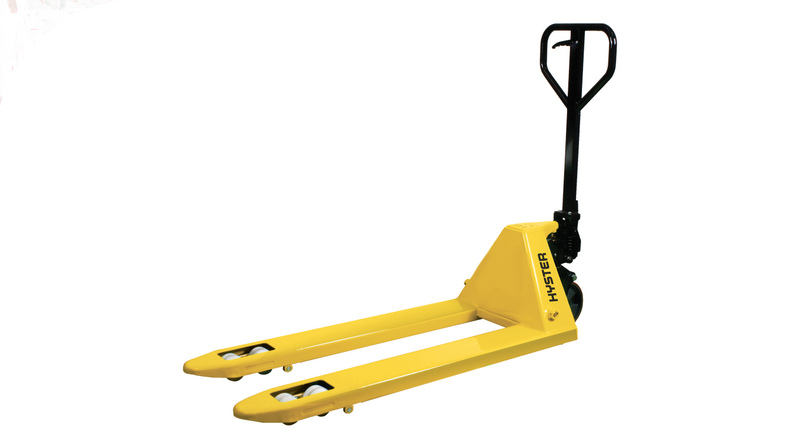 But which Hyster hand pallet truck is right for you? 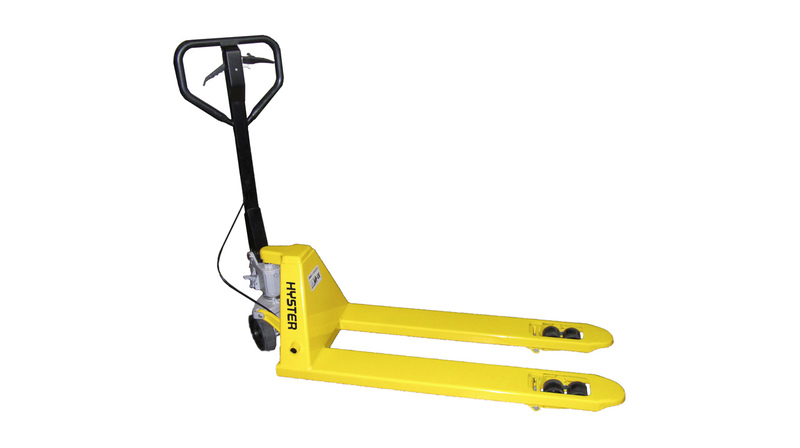 Economy Hyster® Hand Pallet Trucks are built for light to standard use in everyday warehouse operations. The robust design features a frame with reinforced supports and bulkhead, and a standard easy lift pump, while the tapered ended forks provide easy pallet entry. 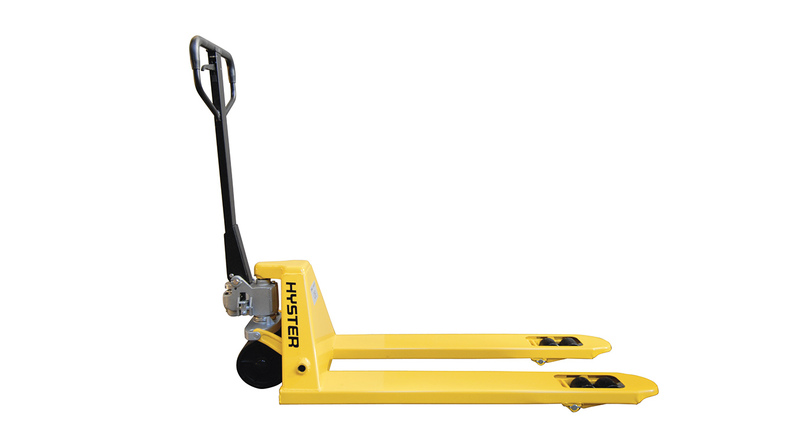 For more demanding operations, the premium Hyster® Hand Pallet Truck line features smooth rounded fork tips, equipped with entry/exit helper rollers and a Quick Lift function for loads of up to 150kg. The premium model is available in different configurations with a selection of wider frames as well as shorter and longer forks available. The rugged heavy-duty frames are light and reinforced forks provide added strength. A quality powder coat finish contributes to the robust design, making it suitable for intense 24/7 storage and distribution operations. 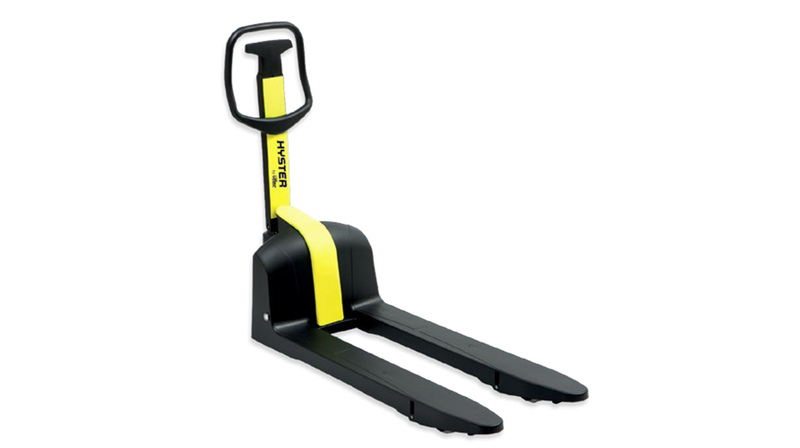 The Hyster® Techno Polymer Line of Hand Pallet Trucks is environmentally-friendly and provides robustness. At just 38kg, it is a light weight truck that operates with a low noise level. It is also available in galvanised and stainless steel versions. It is especially suited to operating in food manufacture operations. 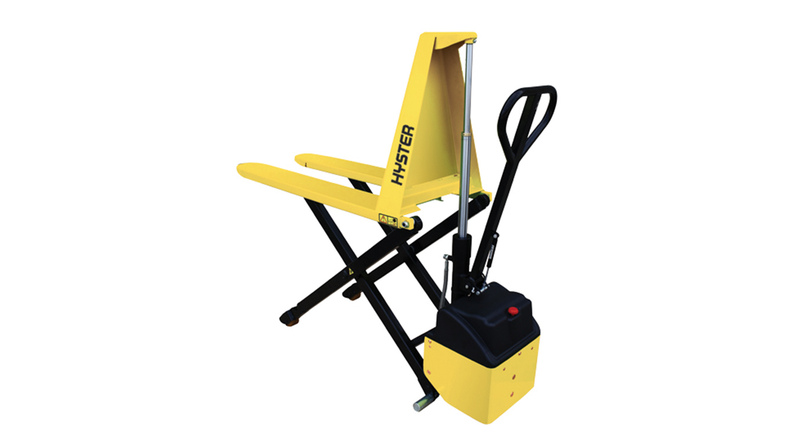 Suitable for use in a corrosive environment, all standard Hyster® hand pallet trucks can be supplied with a galvanised finish. 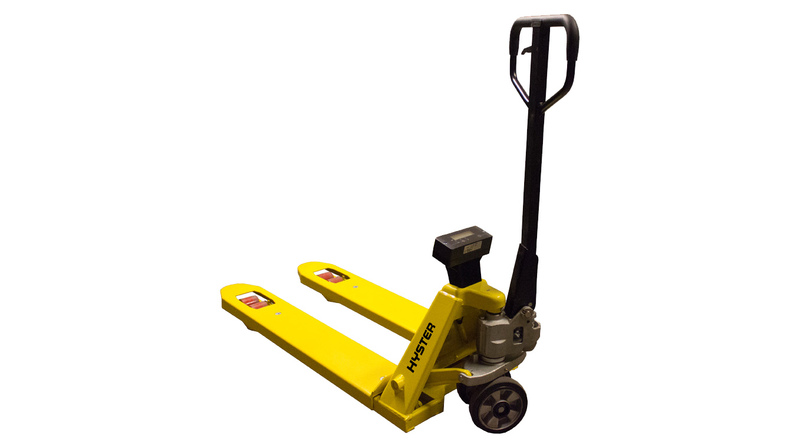 Nylon wheels and rollers are standard options on Hyster galvanised hand pallet trucks, but other versions are available on request. Made of stainless steel AISI 304, these hand pallet trucks meet hygiene standards in the food processing industry and are resistant to aggressive environments in the chemical industry. 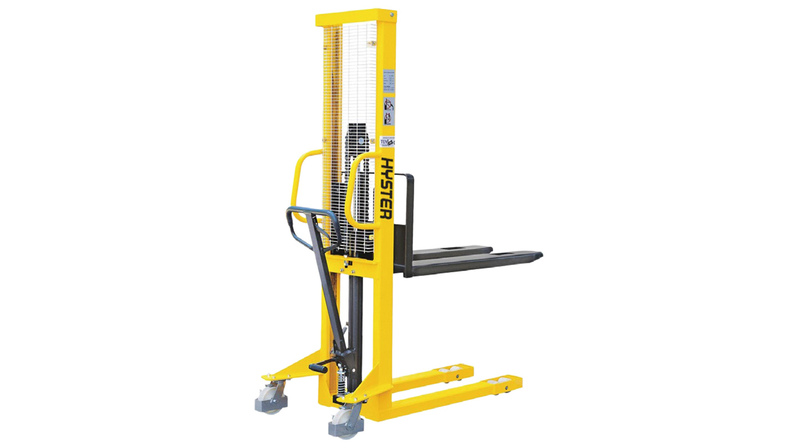 Manual Stacker Trucks from Hyster® feature a fork over straddle leg design, and are operated using manual hand or foot control. Steel construction and nylon wheels and rollers provide a robust solution. The load capacity is 1000kg and the truck features a screen for operator protection. Its ergonomic design and compact build make it ideal for operating in congested areas. Heavy Duty Hand Pallet Trucks are best choice for intensive use, featuring a thoroughly tested state-of-the-art pump with Quick Lift function for loads up to 150kg. Built with a high-quality light weight steel frame, they offer outstanding reliability. 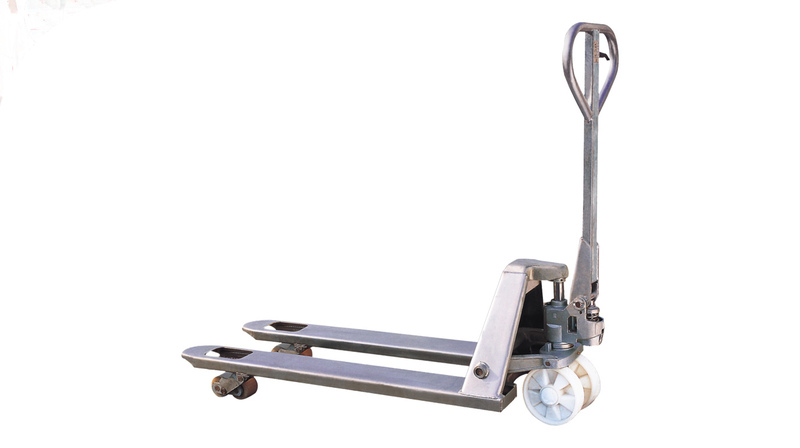 Weigh Scale Pallet Trucks are convenient for operations that require precise and mobile weighing of loads. The weight of the load can be efficiently and accurately determined during loading and unloading operations. The Hyster® three tonne Hand Pallet Trucks feature nylon steering wheels and double nylon rollers. They are suitable for heavy duty pallet handling operations, with heavy or large loads. This is the ideal choice for applications requiring operation on slopes or loading platforms. 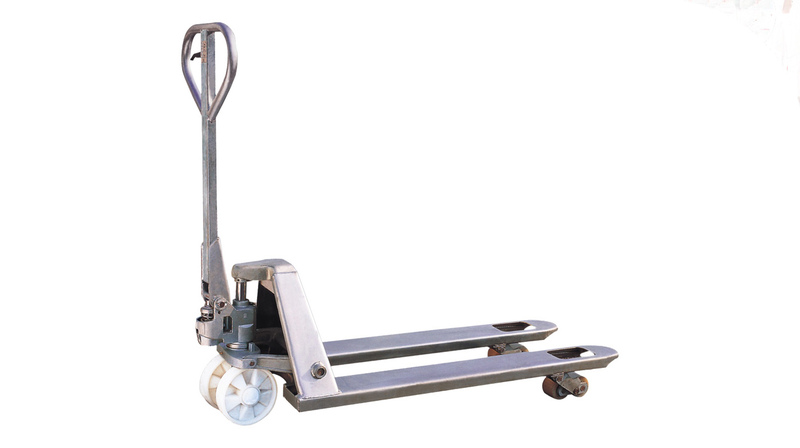 The Hand Pallet Truck with Dual Brake Systems, features a service brake and a parking brake. Scissor Lift Hand Pallet Trucks combine the manoeuvrability of a hand pallet truck and a scissor lifting function. 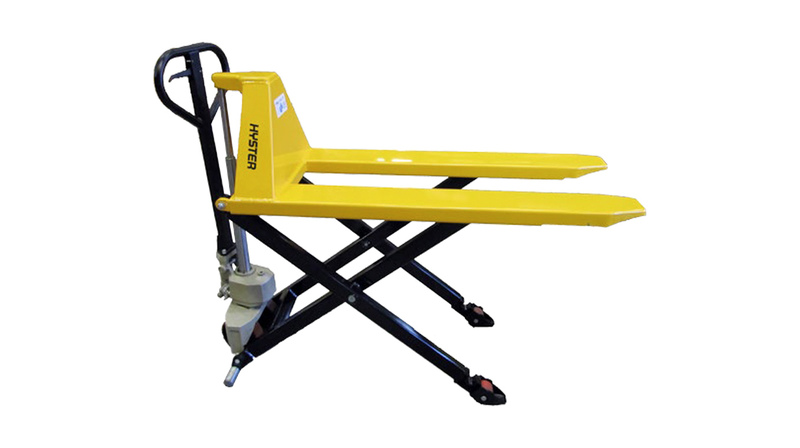 All Hyster® Scissor Lifts are equipped with stabilizers that touch the floor when the lift height exceeds 400mm. The economy Manual Scissor Lift Hand Pallet Truck features a standard pump and can lift at high speed with unladen forks and normal speed with a load. The Heavy Duty Manual Scissor Lift Hand Pallet Truck also offers a high lift speed without a load on the forks, or normal speed with a load. It features a reliable pump and high-quality light weight steel frame, and is suited to more intense operations. The Heavy Duty Electric Scissor Lift Hand Pallet Truck uses an electrically operated hydraulic pump. It includes a 12-Volt battery and external charger, and features an emergency stop function, which disconnects the battery immediately, if required. This is ideal for heavy duty handling operations. The complete range of tough Hyster® hand pallet trucks also offers a choice of different wheels, to customise the truck to specific application demands. For example, polyurethane (PU) wheels are suited to applications that require a more sterile environment, such as chemical or food manufacture. Rubber wheels are very quiet and suitable for noise sensitive applications, and nylon wheels offer extra low friction and wear and are suited to tough applications in harsher environments. A variety of mounting systems from UnisourceTM to secure tablets, smart phones, scanners and cup holders to hand pallet trucks are also available for added convenience and operator experience. 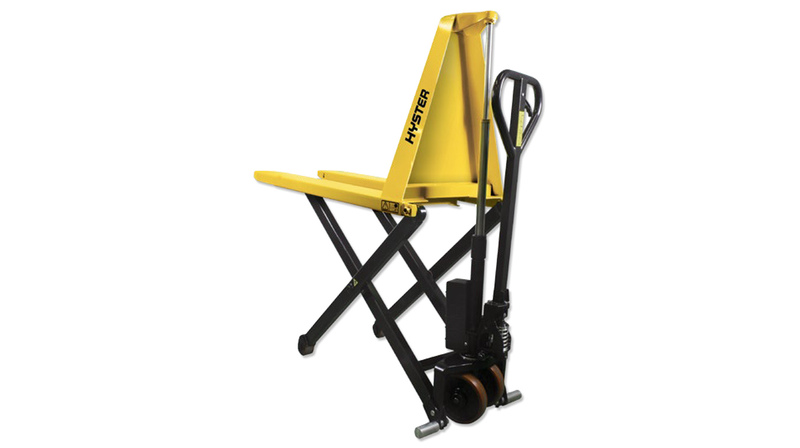 Hyster® hand pallet trucks are available as a Hyster® Aftermarket solution and are supported globally by local Hyster® distribution partners. To find out more visit www.hyster.eu or speak to your Hyster® dealer. This entry was posted in Food Sector, Hand Pallet Trucks, Solution, Weighing, Zinc coated and tagged 3-Tonne Hand Pallet Trucks, Economy Hand Pallet Trucks, Economy Manual Scissor Lift Hand Pallet Trucks, Galvanised Hand Pallet Trucks, Hand Pallet Trucks with Dual Brake Systems, Heavy Duty Electric Scissor Lift Hand Pallet Trucks, Heavy Duty Hand Pallet Trucks, Heavy Duty Manual Scissor Lift Hand Pallet Trucks, Hyster Aftermarket Solutions, Manual Stacker Trucks, Premium Hand Pallet Trucks, Stainless Steel Hand Pallet Trucks, Techno Polymer Hand Pallet Trucks, Unisource, Weigh Scale Pallet Trucks. Bookmark the permalink.